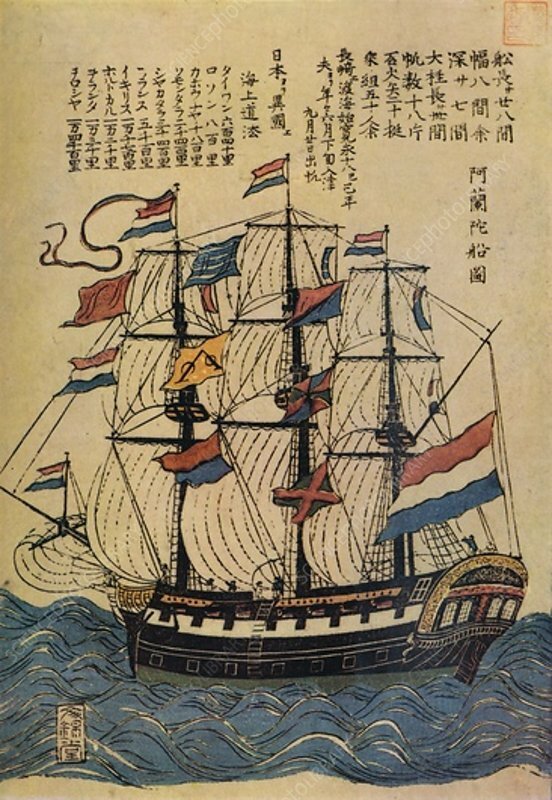 A Bunkindo Colour-Print of a Dutch Ship with descriptive text', c1800, (1936). From The Connoisseur, Vol. H. Granville Fell. Studio, London, 1936).